Chrysanthemums signal the slowdown and subsequent end of the growing season for many gardeners. Fall would not be fall without the colorful blooms of what gardeners in the Pacific Northwest know as “garden mums.” Many consider the plants cliché , and they are presently out of favor. 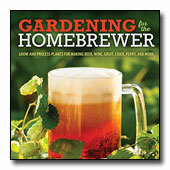 Although they are grown extensively in pots and for cut flowers, few gardeners grow them in the garden. Why is this so? Are they too difficult to grow? Not hardy? Are they too much maintenance? Surprisingly, there is more to these plants than the typical cushion mums one sees at the grocery store. In fact, there are many different types of blooms; described as anemone, quills, spoons, spiders and much more. There are also many different colors, ranging from bright yellow, red, and pink to purple. 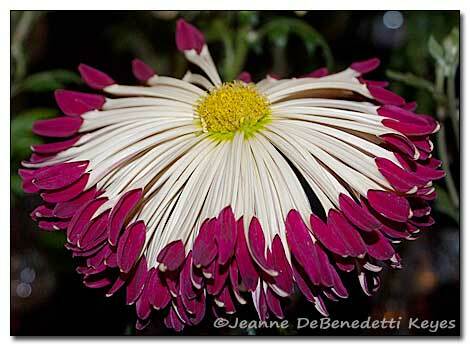 A stunning maroon and white spoon Chrysanthemum. Chrysanthemums have actually been in cultivation for hundreds of years. C. x morifolium is a complex hybrid resulting from the interbreeding of several species. According to Peter Vader in the The Garden Plants of China, the chrysanthemum breeding culture has been described in Chinese literature since the 7th century. Originally, only yellow flowers were known but by the 8th century white and purple flowers were mentioned in poems. There were twenty known cultivars in the late 10th century but by the 19th century, there were over 2000 cultivars. Besides the extensive cultivation for flowers, wine was made with chrysanthemums by using the foliage and stems combined with rice, which was allowed to ferment. The wine was ready to drink the following autumn. 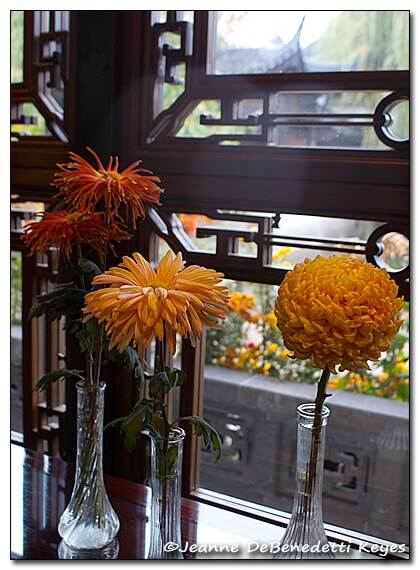 Here is a variety of exhibition chrysanthemums provided by the Portland Chrysanthemum Society for the Mum-vember Chrysanthemum Exhibit at the Lan Su Chinese Garden in Portland, Oregon, now showing through November 30, 2013. The Chinese believed that longevity and immortality were associated with drinking chrysanthemum wine on the 9th day of the 9th month. Today, many varieties of teas are made from the flowers. 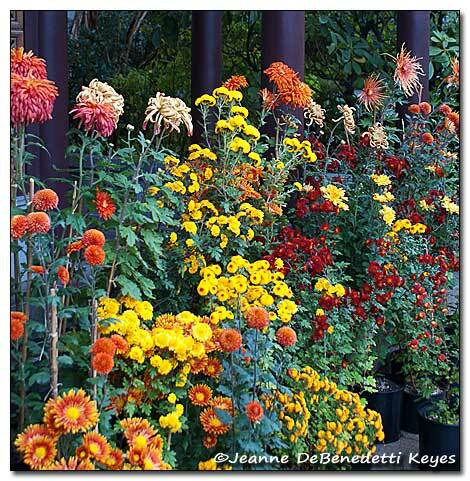 The big question for many Pacific Northwest gardeners is: Can we grow these fancy chrysanthemums in the ground? Local Oregon City growers, King’s Mums, recommends at least 6 hours of sun. Chrysanthemums grow in almost any type of soil, however adding materials such as manure, compost, and leaf mold is very beneficial. The plants can be left in the ground over winter if they are mulched with straw, manure, leaves or other similar materials. It is best to leave the old stems until you see signs of new growth. 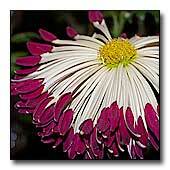 Mums are best planted in the spring, although small flowered types can be planted as late as July. For shorter plants and better foliage at bloom time, King’s recommends cutting the plants back to 4-6 inches if they are 10 inches tall by July 1st. Also, remove or pinch the growing tip portion of the stems, after growth has resumed in order to promote branching and flowers. Chrysanthemums are an obsession for some gardeners. The Chinese people have a long history of training them into cascades and animal shapes. Many gardeners like to exhibit these showy flowers. To get to exhibition size, all lateral branches must be removed, leaving only one stem. All of this disbudding and pinching may be too much for most gardeners, possibly giving these plants a bad reputation for being “fussy” or too much maintenance. However, it’s hard to resist these lovely blooms!